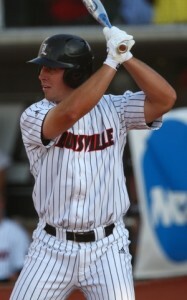 Louisville senior first baseman Andrew Clark (New Palestine, Ind.) and Stanford sophomore righthander Jordan Pries (Alameda, Calif.) headline CB360’s most recent Primetime Performers Weekly Honor, for action during the end of March/start of April. Clark has been named the national Primetime Player of the Week and Pries is the Primetime Pitcher of the Week, while 16 others join them in comprising the Primetime Performer Weekly Honor Roll (as selected by CollegeBaseball360.com). PRIES went the distance on April 2 in game-2 of the series at #2 UCLA, as the Cardinal handed the Bruins their first loss of the season (8-4). The 6-0, 190-pound righthander allowed three earned runs on eight hits and four walks, with four strikeouts while facing a potent UCLA lineup that featured four players hitting above .390 for the season. The 133-pitch complete game saw Pries sparkle through the first 7.2 innings, as he allowed only an unearned run and four hits until late in the 8th inning. Twice in the game, Pries retired seven in a row – and his first six frames featured two 1-2-3 innings and four others in which he induced a double-play ball. Pries allowed five hits from UCLA’s top-two hitters in the lineup (Blair Dunlap and Beau Amaral), but the sophomore steered clear of any big innings by limiting the other Bruins batters to a combined 3-for-23 in the upset win. CLARK led Louisville to a 4-0 week, helping keep the Cardinals on course for a possible top-8 seed in the NCAA Championship. The 6-3, 225-pound lefthanded hitter batted at a .556 clip during the week (10-for-18), with four home runs, 10 RBI, nine runs scored, a pair of doubles, a walk and a sacrifice fly (plus a 1.333 slugging pct.). In a midweek game at Indiana, the 3-hole hitter continued to star in his comeback from a ribcage stress fracture. The Hoosiers opted to send their ace Friday-night starter, LHP Drew Leininger, to the mound for a potential 3-inning save and IU was one out from the upset – but Clark drove a 1-1 pitch over the rightfield fence for a 2-run homer and the winning 5-4 margin. The blast ended Leininger’s impressive shutout streak that had spanned 28.2 innings (Leininger also entered the game with a lowly 0.79 season ERA). Two days later, Clark single-handedly turned away BIG EAST challenger Villanova by batting 5-for-5, racking up 13 total bases (2 HR, 2 2B) and factoring into seven of the Louisville runs (5 RBI, 4 R) during the 12-4 opener. The Cardinals went on to sweep the Wildcats and remain tied atop the BIG EAST standings (5-1; 24-3 overall). In his seven games since returning from the ribcage injury, Clark is batting .444 with 13 RBI. His .408 season batting avg. includes 25 RBI, 17 runs scored and six home runs in 14 games played. • Must have been playing for or against a CB360 top-50 team (in the Composite National Rankings) or performed a high level in a game that could be key to a team’s conference/NCAA postseason qualification. • Performing at a top level against a team rated highly nationally (or within its conference), with bonus consideration given for key performances away from home field and vs. traditional rivals. • Overcoming adversity or extreme circumstances (for the team and/or individual). (from left) Andrew Ciencin (NC St.), Harrry Clark (UAB), Grant Dayton (Auburn), Clayton Farhat (Lamar), Cole Green (Texas) and Justin Jones (Cal). The other 16 members of the CB360 Primetime Performer Weekly Honor Roll include: N.C. State so. 3B Andrew Ciencin (Cranford, N.J.) … Alabama-Birmingham freshman catcher Harry Clark (Memphis, Tenn.) … Auburn jr. LHP Grant Dayton (Huntsville, Ala.) … Lamar jr. LF Clayton Farhat (Plano, Texas) … Texas jr. RHP Cole Green (Coppell, Texas) … California fr. 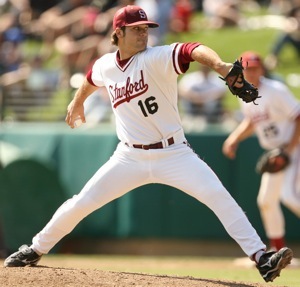 LHP Justin Jones (Oakdale, Calif.) … Arkansas so. CF Collin Kuhn (Beaver Dam, Wis.) … so. RHP Jacob Lee (Jonesboro, Ark.) … Texas Tech so. 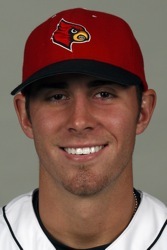 RF Scott LeJeune (Austin, Texas) …San Diego St. fr. RHP Ethan Miller (Chino Hills, Calif.) … Coastal Carolina jr. CF Rico Noel (Lawton, Okla.) … Florida so. LHP Alex Panteliodis (Tampa, Fla.) … Oregon jr. LF Marcus Piazzisi (Placentia, Calif.) … Tennessee jr. LF P.J. Polk (Murfreesboro, Tenn.) … Tulane so. 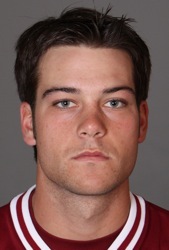 catcher Jeremy Schaffer (Bellaire, Texas) … and Virginia Tech jr. RF Austin Wates (Richmond, Va.). (from left) Collin Kuhn (Arkansas), Jacob Lee (Arkansas St.), Scott LeJuene (Texas Tech), Ethan Miller (San Diego St.), Rico Noel (Coastal Carolina) and Alex Panteliodos (Florida). The 18 honorees include seven pitchers (three LHPs), three leftfielders, two catchers, a pair of centerfielders, two rightfielders, a first baseman and a third baseman. The selections feature one senior, seven juniors, seven sophomores and three freshmen. Four of the players are California natives are four others are Texas products, along with two from the state of Tennessee and one each from Alabama, Arkansas, Florida, Indiana, New Jersey, Oklahoma, Virginia and Wisconsin. (from left) Marcus Piazzisi (Oregon), P.J. Polk (Tennessee), Jeremy Shaffer (Tulane) and Austin Wates (Virginia Tech).